Go digital: The magazine media format will continue to shift to digital. Digital magazine advertising has the advantage of high targeting capabilities and payment options where advertisers are only billed when their ad is actually viewed. Consumers are spending more time reading magazines in digital formats and trends have shown that digital magazine formats are here to stay. Embrace video: Video is more engaging than traditional text and captures your audience faster online. Studies have shown that consumers spend twice the amount of time watching video than reading plain text. Video has also shown to generate four times the leads of non-video ad content*. Take advantage of video in your next ad campaign to communicate your message faster to your target market. Stand out in print: As more marketers focus campaigns solely in digital outlets, there is a void in traditional print magazine advertising. Since less people are utilizing the print medium, it helps your message stand out when you do. 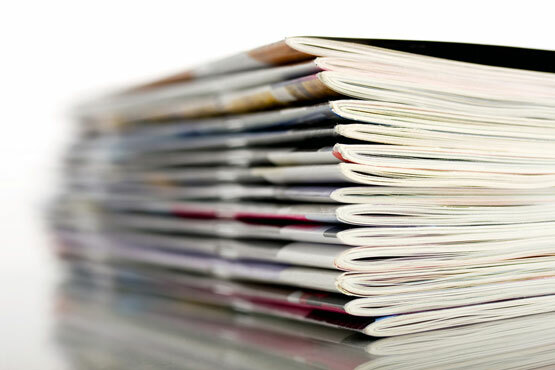 It is important to remember that there are still consumers who primarily read print, and it is effective to reach them through magazine print ad campaigns. Interested in developing engaging magazine advertising content for your brand? The Harmon Group is here to help. Contact us today to get started.